Over the years, a consensus has been built up in Tanzania that ITN dissemination strategies based on a subsidised commercial sector approach are the right answer to the current malaria challenge. It is an ongoing debate, in which another viewpoint, proclaimed by Jeffrey Sachs, calls the delay in the delivery of bednets “one of the shocking crimes of our time” . He advocates dropping the present NATNETS strategy and calls the social marketing approach a total failure. Already well before these strong words, however, the stakeholders in Tanzania had agreed to a mass free distribution of LLINs; indeed, this decision had been the basis for the Round 7 proposal to the GFATM. The discussion is now proceeding on the importance of achieving rapidly universal coverage of the population as a whole. There is, at present, at least some level of consensus among malaria specialists that an approach is needed which combines both a catch-up and a keep-up strategy for ITNs . Basically, more than one approach is required and the value of complementary distribution mechanisms has been very well shown in Kenya, Tanzania and Malawi. ‘Catch-up’ strategies: There is a need to increase coverage fast and this may only be possible through free, or highly, subsidised mass distributions. Public distributions linked to measles vaccination campaigns have made a big impact in, for example, Niger, Sierra Leone and Togo (where a 1- or 2-week campaign achieved 50% to 60% coverage in children under five years). Recently a very large distribution campaign spread over three years has been initiated in Ethiopia. ‘Keep-up’ strategies: Massive free net distributions are time-bound and hence a sustainable and continuous system is also required to reach newly-pregnant women and newly-born children. Further, there is a need to continue getting messages out to the population to ensure further behaviour change. Keep-up strategies can involve clinic distribution of ITNs (such as in Kenya or Malawi) or a voucher scheme (as in Tanzania). In the case of Tanzania, reconciling campaigns with a continuous commercial sector distribution is challenging as the private sector can obviously not compete with free nets. The voucher system in Tanzania, while a more complex system initially, does allow reconciling the two strategies. The TNVS is likely to survive the mass free distribution of LLINs to children, since there will still be a large part of the population requiring nets. However, it is unlikely that the voucher scheme will survive a universal mass distribution. In the latter case, a new form of ‘keep-up’ mechanism would need to be implemented. The story of insecticide-treated nets in Tanzania is a major success story, but there are still many challenges left. A basic problem is that long-lasting nets cost from US$ 5 to US$ 6 to produce and US$ 2 to US$ 3 to distribute, including management and promotion costs. Those who need the nets most (the most vulnerable and poorest groups) cannot afford to pay even one dollar for a net. Paradoxically, this is so despite the fact that many poor families pay a much higher cost to treat malaria episodes or in lost productive time. Malaria is truly a disease that increases poverty and hampers development. ITNs are a good answer to this problem, and spreading them is a public health task and an investment into development, the basis for economic growth and prosperity. The development of the ITN programmes has already reduced the burden of malaria considerably, although it is too early to see an effect on economic development. Any meaningful ITN distribution strategy requires a smart way of using subsidies. Subsidies can either compete with the goal of sustainability or go along with it, as with vouchers. Smart subsidies are needed to make the bednets affordable to poor vulnerable groups for a long time. Another form of subsidy is justified temporarily if they can prime the market. For example, if all pregnant women get one voucher for a bednet, they may buy another net once it is worn out. The ITN programme in Tanzania is an outstanding example of a public-private partnership (PPP). Given careful planning, it is possible to have commercial sector delivery alongside limited free distribution campaigns. The fact that substantial subsidies for such programmes have been made available has led the private sector to make huge investments in producing conventional and long-lasting nets. In Tanzania, this has created a new and thriving export industry. 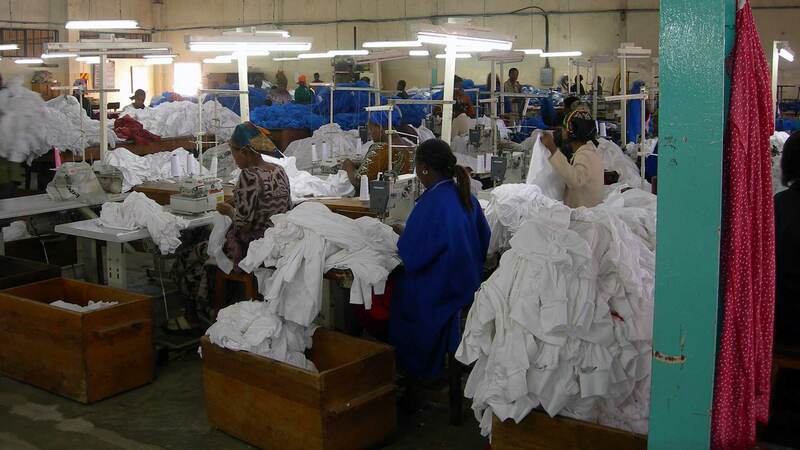 In 2007, all Tanzanian companies had an estimated total production of at least 20 million pieces, most of it being exported. No figures are yet available in terms of turnover and tax revenues but this industry has generated at least 3,000 new jobs. What is needed now is a rational and constructive debate between the advocates of free distribution and those of other approaches, with the aim of building a multi-channel programme with maximum reach and sustainability. Repeated experience in sustainable development has taught us that putting all one’s eggs in the same basket is not the best strategy. In the case of ITNs, it is clear that a diversity of strategies is best for reducing the enormous human and economic burden imposed by malaria.